Last week, President Trump tweeted his support for these laws, writing, "Numerous states introducing Bible Literacy classes. ... Starting to make a turn back? Great!" In the early 19th century, as many states created public school systems, children's moral development was viewed as a crucial component of education. Advocates for public schools came from some of the established Protestant denominations such as Congregationalism and growing liberal traditions like Unitarianism. A major catalyst for division was the decision of Cincinnati School Board in 1869 to end Scripture reading in classrooms. Having long objected to Bible study in the city's schools, Catholics had established their own system of parochial schools. By 1869, over 12,000 children, free from Protestant religious influence, were taught in these parochial schools. The board's decision sparked outrage among conservative Protestants. As scholar Steven K. Green has detailed in his study of church-state debates, many churchgoers organized opposition to the policy. They believed it "threatened the moral and intellectual development of youth." The secretary of Connecticut's Board of Education, Birdsey Northrop, supported this change. A graduate of Yale Divinity School and a clergyman, Northrop came to denounce "narrowness and bigotry, under the guise of devotion to Bible reading." 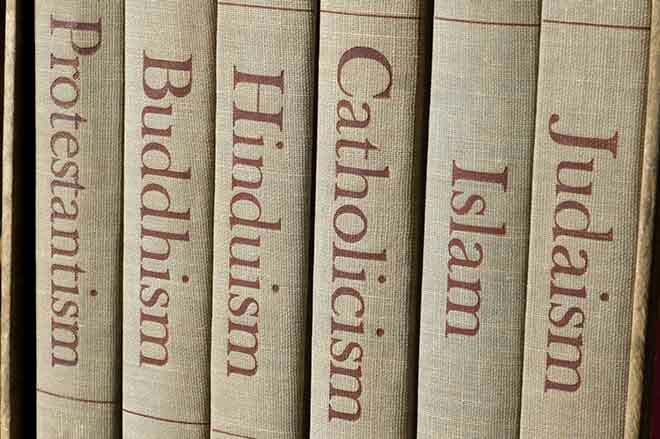 In his view, Bible study in schools only fostered religious division. For these liberal Protestants, there was value in public schools. They were willing to tolerate an end to religious instruction in the hope that education would not become a sectarian endeavor. This liberal Protestant support helped ensure that the Cincinnati school board's policy remained in effect over conservatives' objections. In the aftermath of what became known as the "Cincinnati Bible War," liberal Protestants grew ever more wary of Bible study in public schools. As the historian Neil J. Young has shown, conservative Protestants disagreed on amending the Constitution. Nevertheless, prominent conservative voices urged the return of "Bible reading to the public schools." Already, these "Biblical literacy laws" have been enacted in more than a half-dozen states since 2000. The campaign to pass them elsewhere shows little sign of stopping, especially as it appears to be an organized effort of Christian conservatives.